As President of the WCGS Board of Directors, I am pleased to inform you that Jeff Brooke has accepted the position of Associate Head of School beginning in July 2019. As Associate Head of School, Jeff will work under Steve Clum and will be learning from Steve as he prepares to become our next Head of School. The Board has spent time on many issues over the past two years with none being more important than our succession planning. We have been privileged to have such exceptional leadership at WCGS. Steve Clum and Roger Burgess have guided the Grammar School in excellence over the past forty years and along with the leadership of Marc Painter, we are now excited to add Jeff’s godly leadership and integrity. 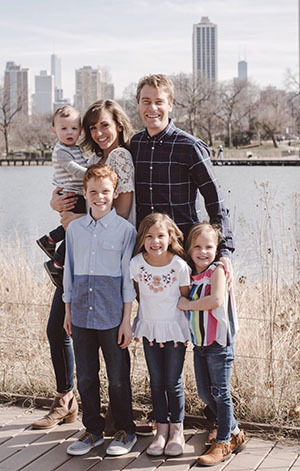 Jeff Brooke comes to us from Wheaton Academy where he serves in an administrative leadership and coaching capacity as Vice Principal of Campus Life, Bible Department Head, Bible teacher, and Boys’ and Girls’ Varsity Soccer Coach. Wheaton Academy has done a great job of preparing and providing Jeff with a variety of experiences in numerous areas of the school’s life. Many people have been positively impacted by Jeff because of the investment Wheaton Academy has made in him. As a WCGS graduate, school parent, and current WCGS Board member, Jeff knows and values our culture. He has a heart for young people and a desire to help them grow in their relationship with Christ. He is a gifted leader. Jeff is married to Rachel, a former Art Teacher at WCGS. Jeff and Rachel have four children (Mason – 4th grade, Natalie – 2nd grade, Jenna – kindergarten, and two-year old Ethan). Rachel is excited to join with Jeff in providing support as he leads and shepherds the Grammar School family. 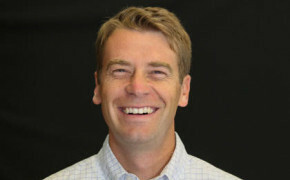 Jeff is a 1998 graduate of Wheaton Christian Grammar School and a 2002 Wheaton Academy graduate. He earned his undergraduate degree in Communications, with a minor in Marketing from Taylor University in 2006, an M.A. in Ministry Leadership from Crown College in 2010, and is completing his M. Ed. studies in Educational Leadership from Concordia University-Portland. Please join me in congratulating Jeff on his new responsibilities. We thank God for His provision of our new Associate Head of School. The WCGS Board of Directors and administration enthusiastically and unanimously endorse Jeff in his new role. Please pray for our leadership team as they all work together to make WCGS a school that continues to glorify God in all we do.